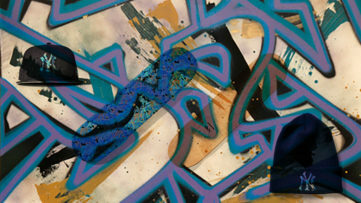 The legendary New York graffiti artist is having a busy week, exhibiting at two spaces in Los Angeles. His exhibition of new works is announced at Seventh Letter Gallery for March 29, but it will be preceded by a presentation of photographic works by the street artist at a space dedicated to the wonderful vintage camera, Leica Gallery LA. 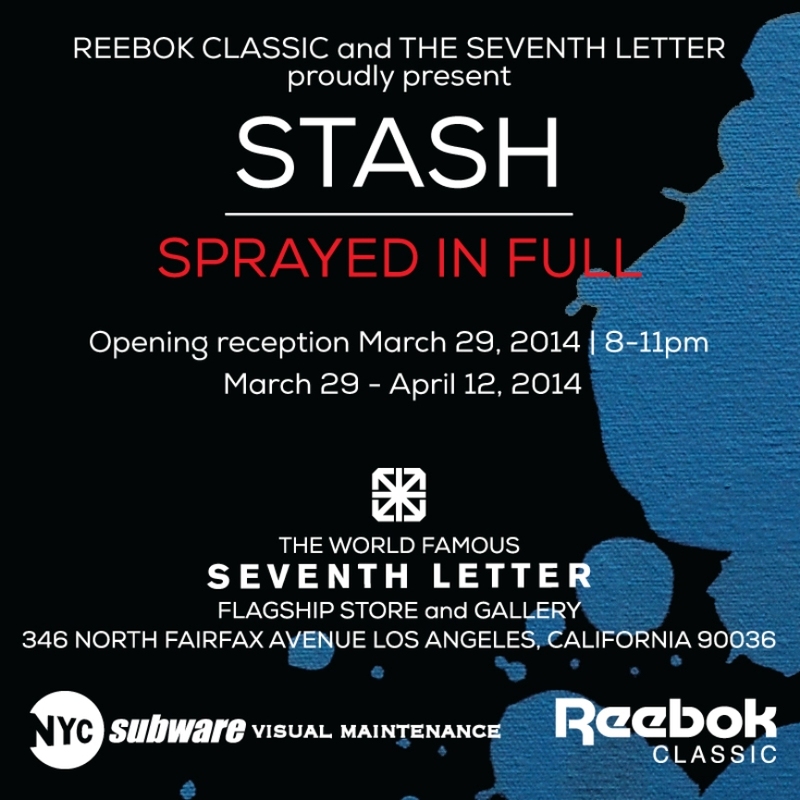 The Seventh Letter show is entitled Sprayed in Full, supported by Reebok it will run for two weeks, through April 12, 2014. 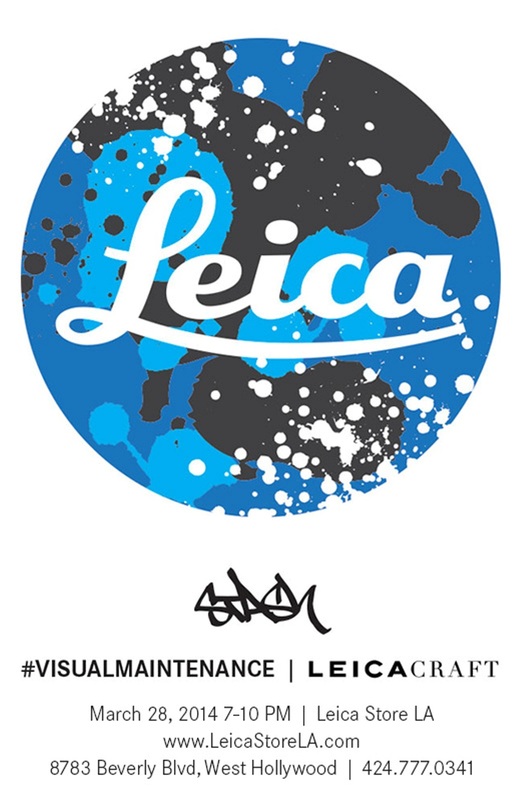 The collaboration between Stash and Leica Camera Store in Los Angeles resulted in the show announced for this Friday, March 28. This will be the first ever presentation of Stash’s creations in the medium, displaying a series of pictures created solely with the use of Leica Cameras. The opening is private and the collaboration is realized in celebration of a centennial anniversary of Leica photographic camera. 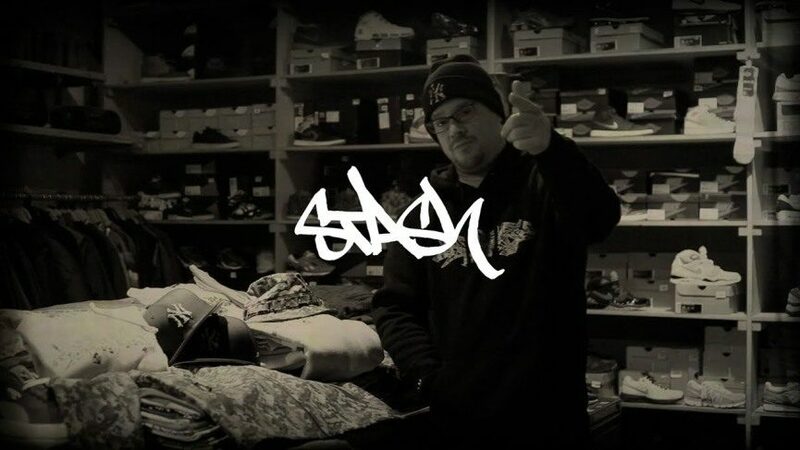 Born in Long Island in 1967, Stash has always been tied to the city of New York. He is today seen as one of the pioneers of the first New York graffiti scene, painting the walls in the East Village in the early 80s. His first canvas pieces were exhibited together with works of internationally acclaimed legends suchs as Keith Haring and Jean-Michel Basquiat. At the time, Stash was only 17 years old. Although a lot of his peers switched to pop art expression, Stash stayed loyal to his street art origins, painting the subway trains all through the 80s, despite the city prosecution. His final underground tag was created in cooperation with another graffiti figure, Zephyr, in 1987. Compelled to work on canvas, Stash continued to develop the street style, referencing subway maps, collaging the graffiti elements and employing the familiar tag contours and wild shapes. 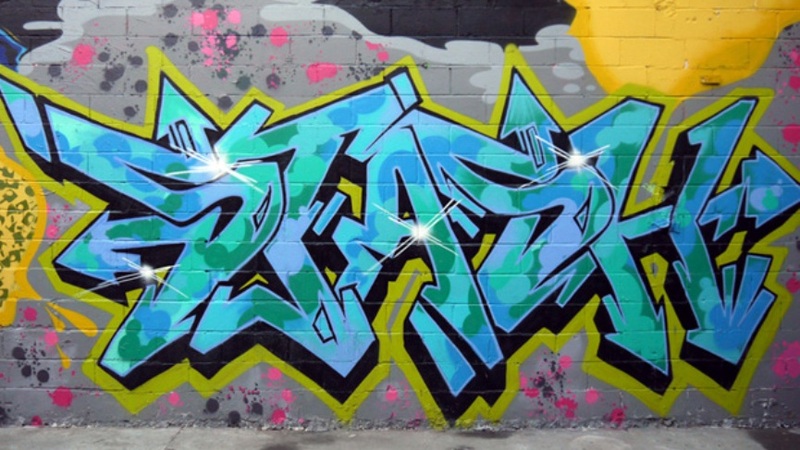 In the final years of the 20th century, Stash was among the first artists and designers who used elements of graffiti in streetwear design, working with fashion moguls such as Nike, Burton, Medicom toy and A Bathing Ape. The commercial steps allowed the artist to reach a wide international audience, extending beyond the admirers of his gallery displayed work. The popularity of graffiti style grew, and Stash was surely among figures who contributed greatly to the public acceptance of street art. Today, Stash works as an artist and designer and he is regarded an urban design innovator. 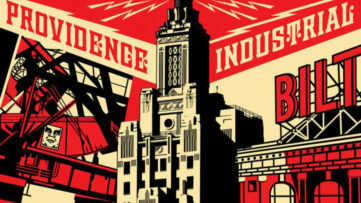 He stretched his creative activities into photography, capturing urban landscapes and situations of the city, produced in combination with the state of the art lighting and printing techniques.